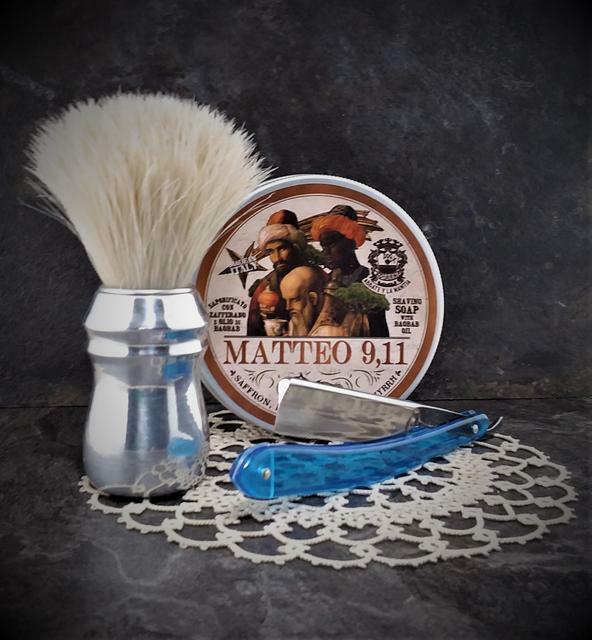 Wednesday morning shave: Mastro Livi 8/8. I picked this one up from another member at an exceptionally good price. Meh....I'm sure someone else will be happy to have a Livi for a good price. 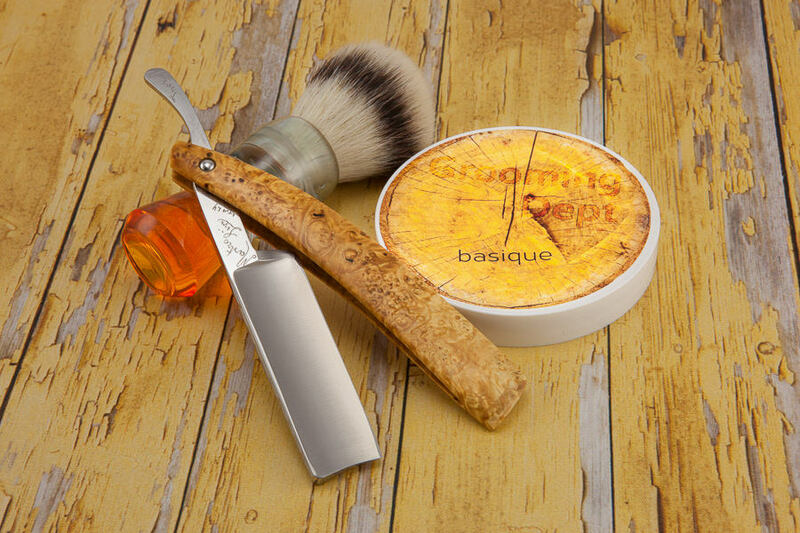 Basique has a light scent of simply wood--not complex, just wood. Enjoy your shaves. Good soap but the scent is pretty is pretty light. Very nice post shave feel and produced gobs of lather. The razor will need a touch up before the next shave. 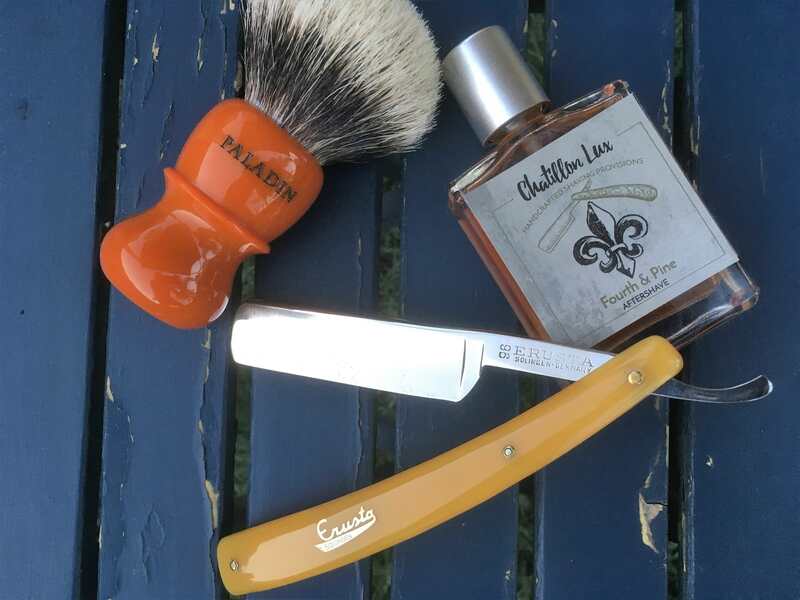 Very decent shave this morning. Have a good one. The ABC boar is the "bomb", IMO. It's hard to imagine it getting better after break in. For Thursday morning: Butch Harner 7/8 Kamisori, a sweet shaver, although I prefer folding straights. I've been impressed by WSP creams--plenty of slickness for straights, and my face feels fantastic afterwards. The tobacco scent is fairly light, but that is made up for by the much stronger scent of the splash. 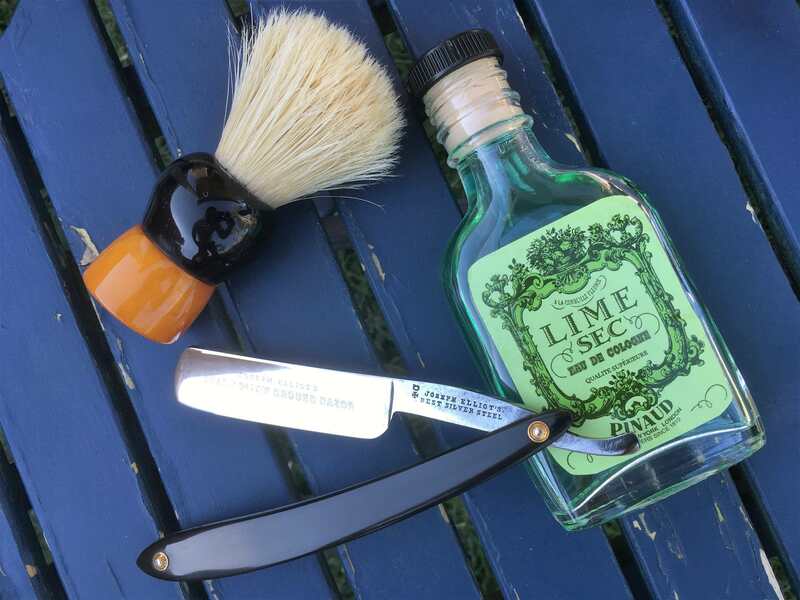 Nice shave this morning. I'm going to do one more Omega 49 brush, then I'm done messing around with them for myself. I have way to many brushes. (04-26-2018, 05:58 AM)oscar11 Wrote: 7/8 T.I. A very nice set up. 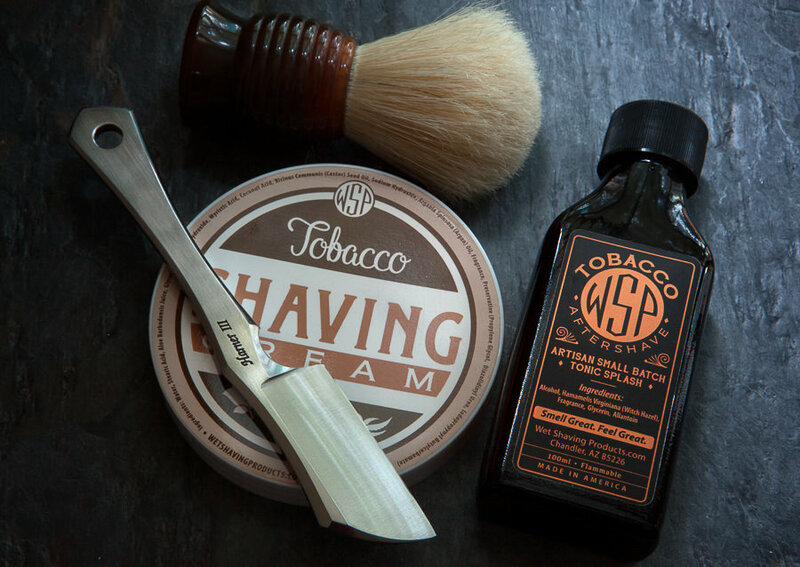 Great looking brush, razor, and a terrific soap. I have too many brushes also, only they are mostly badgers and I'm having fun building a boar collection. 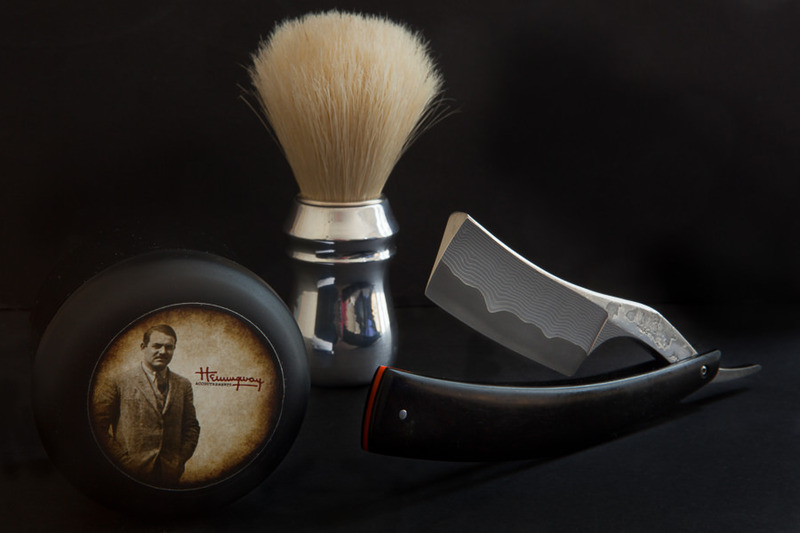 Friday's shave is with one of my favorite razors, a Jenes Sándor custom 8/8 Gentleman's Long Tail with Desert Ironwood Burl scales. 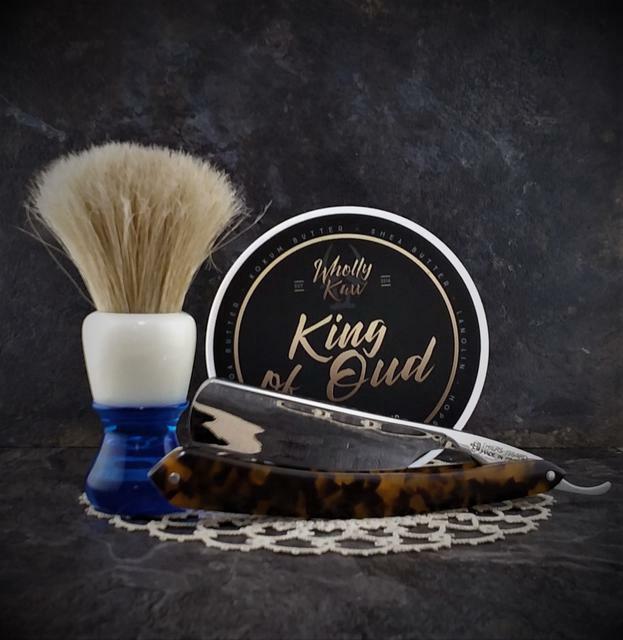 It's a perfect fit for my XL hands, provides a wonderful shave, and has maintained it's edge for over two years with only stropping. I love the floral scent of the Mondial cream, only I wish it provided a little more slickness. Filarmonica 13 Doble Temple-- When I was using DEs, I always admired the beauty of Filis. I decided to jump into straights and it was just a matter of time before I picked one up for myself. 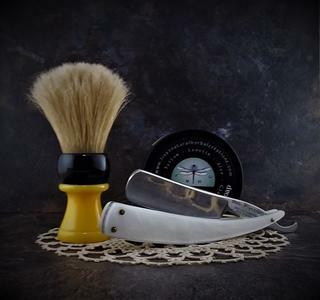 Saturday morning shave: Ali's Blade custom Chopper 65 8/8 stainless, suminagashi 65 layers with SG2 (Super Gold powder steel) core, Mozambic Ebony Scales. 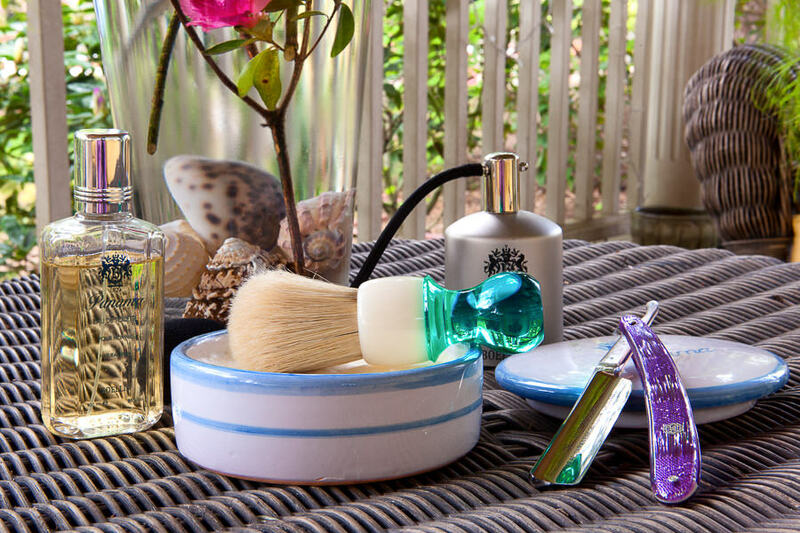 Hemingway cream has a wonderful scent of grapefruit, bourbon, leather, vanilla, amber, tobacco leaf, cedar, and sandalwood. 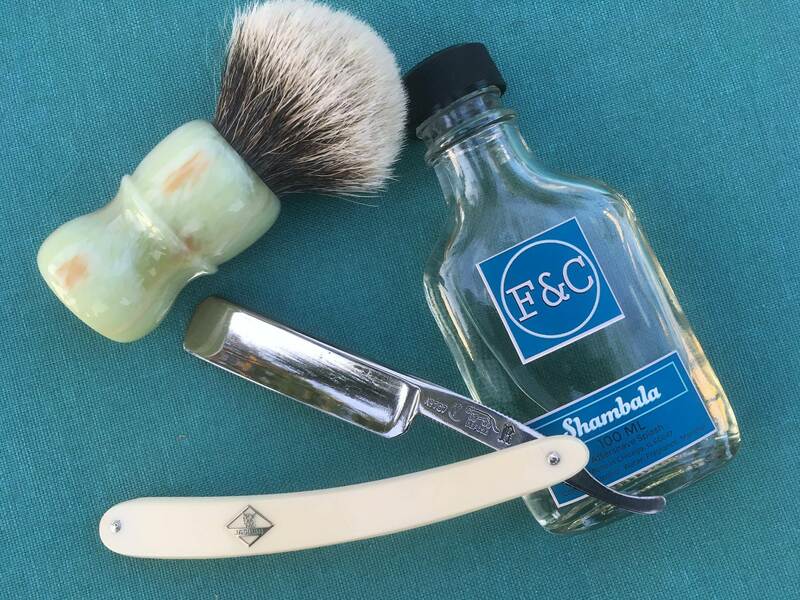 Nice shave this morning. 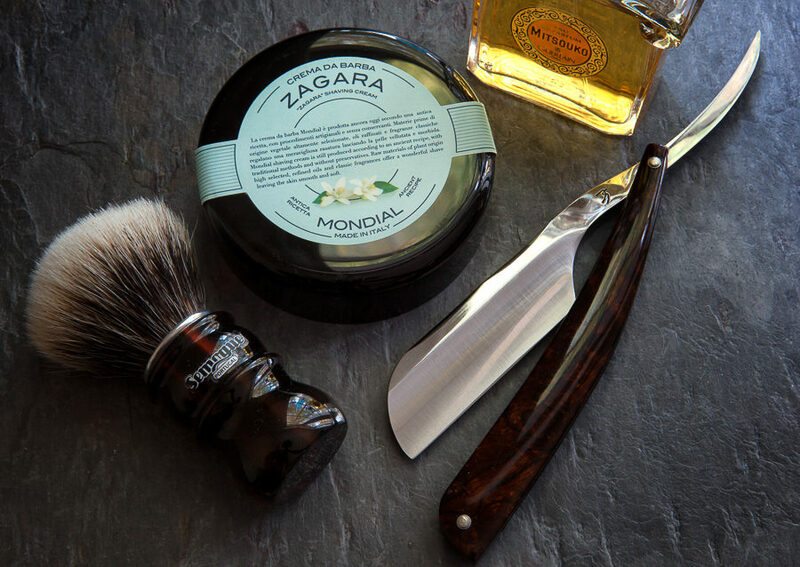 Excellent shaving soap. Have a good one. For Monday morning's shave: Hayashi Diamond 8000. I have three H. Diamond razors, and enjoy each of them. 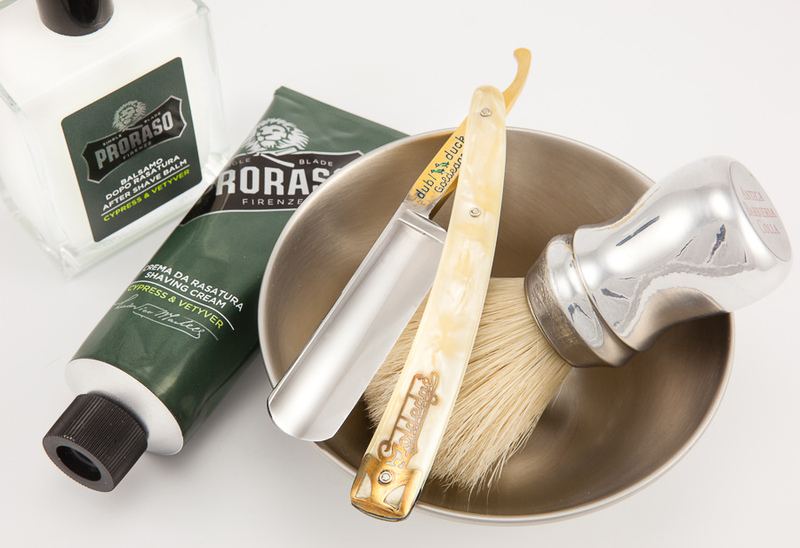 They are incredibly sharp and hold an edge, as do most Japanese razors. It took me about four years to work through a brick of Boellis, and I recently added to new one to my coffret. I really enjoy this soap and need to use it more often. 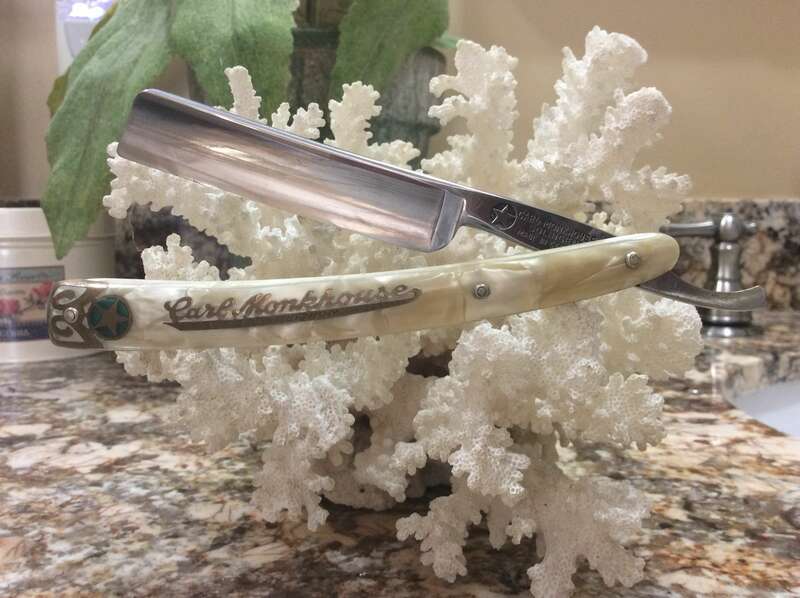 I took this razor and did a touch up on my black arkie. 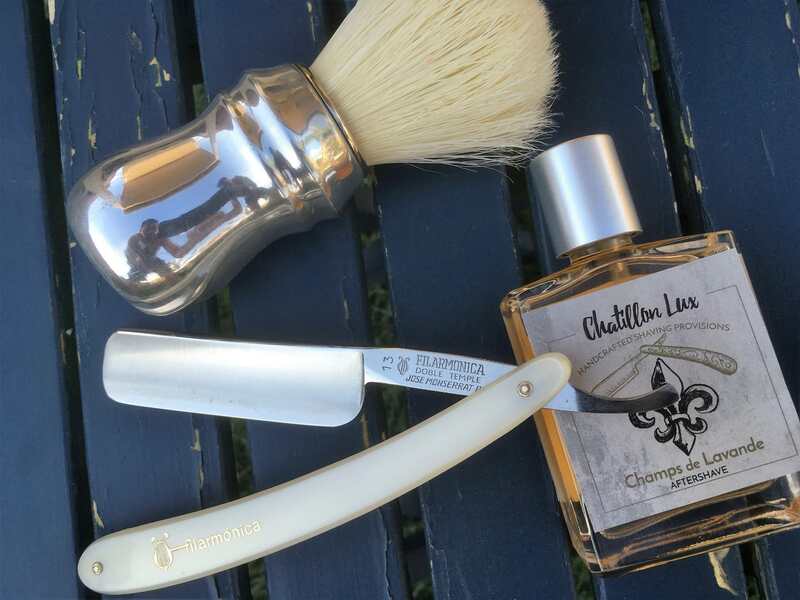 Very nice shave this morning. 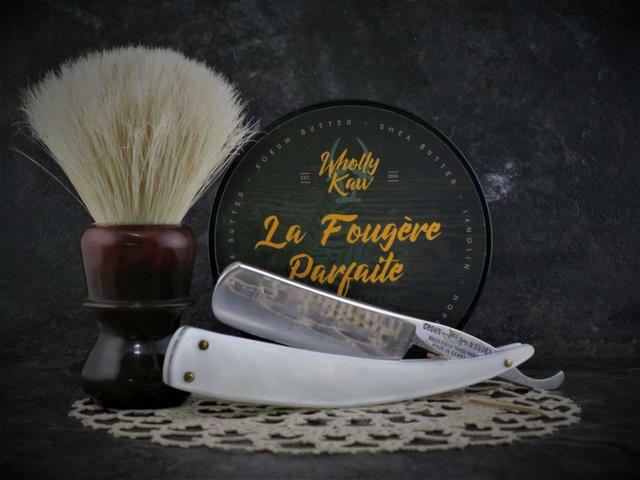 The Fougere Parfaite was a flash back to the Brut days but I really enjoyed it. Have a good one. 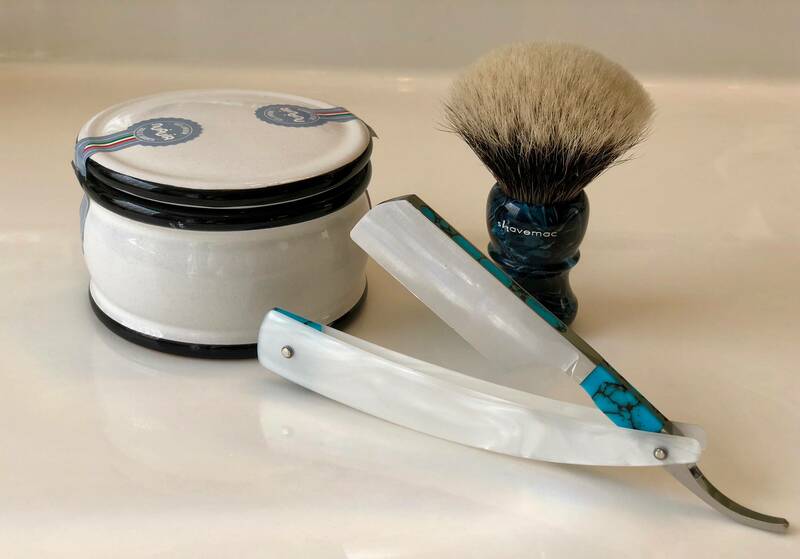 Tuesday morning shave: Riga Razor custom 6/8 tungsten steel, 1/4 hollow. 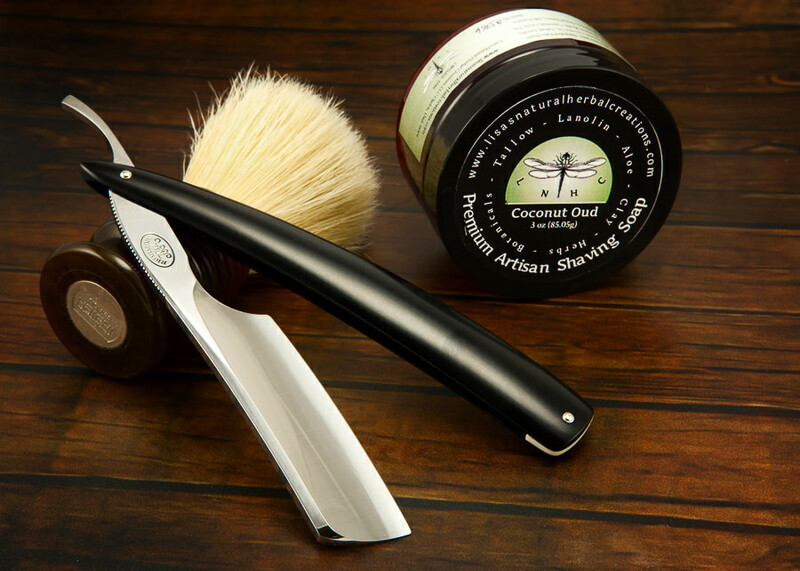 Ground beautifully, a sweet shaver. Lisa's Natural Coconut Oud--lovely scent, a very nice cream. I'm still enjoying the Thäter Premium Boar brushes although I'm breaking in an ABC Boar and a Zenith Boar for comparison.